We cordially welcome you aboard to share the excitement of adventure, the romance of the sea and the intimacy of a ballad sung out of love. This presentation includes songs of a primarily traditional maritime flavor whose beauty and richness have withstood the test of time. 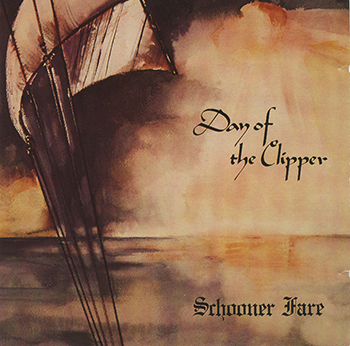 Day of the Clipper, written by Steve, recalls the magnificent merchant sailing vessels whose speed and grace once dominated the seas and whose memory lives on. Bygone days of a lad at sea are remembered in Ewan MacColl's Shoals of Herring while Twa Recruiting Sergeants beckon yesterday's youth to leave home and hearth for promises of adventure, perhaps to seek their fortune Far Away in Australia mindful, however, that The Drunken Sailor still has his penance to pay. We further present songs with the air and carriage only found in traditional music...the manic 15th century Italian madrigal So Well I Know Who's Happy, and the tragic tale of The Butcher Boy. Ralph McTell's Streets of London relates a traditional theme in a contemporary setting. Neither traditional nor picaresque are two other original songs included at the encouragement of many loved ones who are very much a part of this production. Teach Your Children to Sing, written by Steve, is dedicated to families the world over, while Between the Lines, written by Tom, is for lovers of all ages. As is our custom, we do indeed ask Will Ye No Come Back Again, tip a glass and enjoy the warmth of good company. Special thanks to--the Schooner Fare Singers and Dancers, Corporal Steve Eames (71st Regiment, Fraser's Highlanders), Many other loved ones to numerous to enumerate. Dedicated to John Allan Cameron. The girl that I left behind. "Sweetheart, this time I must bid you goodbye,"
And I'm ready to sail away." "I cannot let you go." "Just for a while or so." And she's hoping these words are true. A butcher boy I loved right well. But now with me he will not stay. 'Til cherries grow on an ivy tree. With the tall green grass all over me. And a pend and ink 'til I write down." To be led astray by a butcher boy." He found her hanging from a rope. And in her pocket these words he found. "Oh, make my grave large, wide and deep. That the world may know I died for love." So 'list bonnie laddie and come awa with me. So 'list, bonnie laddie, and come awa. So 'list, bonnie laddie, and come awa with me. Twa rattles on the drum and that'll beg us off. So list, bonnie laddie, and come awa. to be was closer to you. When I speak of love, you always ask me, "why?" Why must I speak of love: Yet love is in your eyes. Makes me fight my way closer to you. When I talk about time, you always ask me "why?" Put him in the longboat 'til he's sober. Throw him in the rack with the captain's daughter. While you're searchin' for the shoals of herring. We were sailin' after shoals of herring. And say for you the sun don't shine. I'll show you somethin' to make you change your mind. Same old man sitting there all on his own. Each tea lasts an hour, then he wanders on alone. One more forgotten hero in a world that doesn't care. You trusted in your highland men. They trusted you, dear Charlie.